We are to be the shining light of Christ to the world. The Bible has promised in Ephesians 3:17 that Christ may dwell in our hearts by faith. Colossians 1:27 describes this as the mystery of God, ‘Christ in you, the hope of glory’. Thus, Seventh-day Adventist health care professionals should be a complete demonstration of Christ in the life. Our practices should be a place where our patients come in contact with the living Christ, the Jesus of Scripture. Why? Why is Jesus’ method so successful? This year’s conference is a challenge for Christ to be in you so that the mystery of God will be finished. Attendees will learn to implement Christ’s method alone in their practices thus becoming more effective soul winners. 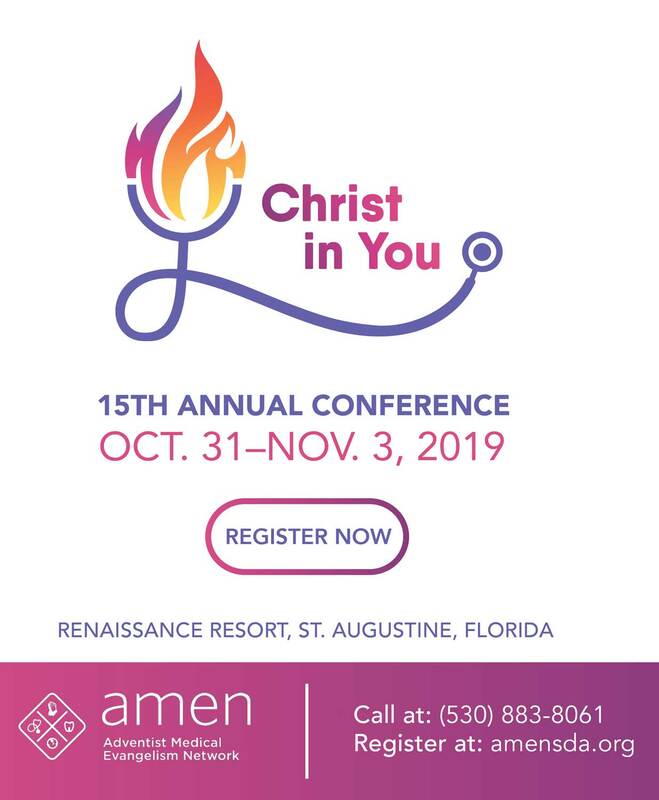 We pray that you will be inspired and refreshed as we come together with like-minded healthcare providers and renew our commitment to a life of Christ In You.